MINOT, N.D. – Minot State University announced a total of 452 students were named to the Spring 2018 President’s List, according to MSU President Steven Shirley. Students who earned a term grade point average of 3.8 or higher while enrolled for 12 or more credits during the 2018 spring semester were named to the list. The honor will show on the student’s transcript for the semester it was earned. “We are pleased to honor the students who have earned the highest academic level at Minot State University – the President’s List. These students represent the very best in academic achievement from the spring semester, and they are to be applauded for this accomplishment. Congratulations to all who earned this honor,” Shirley said. A total of 290 students were named to the Minot State University Vice President for Academic Affairs’ Honor Roll for the spring 2018 semester, the university announced Wednesday. Students who earned a term grade point average of 3.5-3.79 while enrolled for 12 or more credits during the 2018 spring semester were named to the list. The honor will show on the student’s transcript for the semester it was earned. “Congratulations to all of the individuals who earned a spot on the VP for Academic Affairs’ Honor Roll. This honor is a testament to the hard work and dedication of these students during spring semester. I am proud to honor all of the students named to this spring’s list,” said Laurie Geller, Minot State vice president for academic affairs. Minot State University finished the spring semester with 17 students earning the university’s Engagement Honor Roll. The Engagement Honor Roll is an opportunity for Minot State University students to receive recognition for the engagement activities they participate in while a student at Minot State, through inclusion of this distinction on their transcripts. Students can participate in one or more of the engagement activities. The list of qualifying activities includes community service (volunteerism), civic engagement, service learning, community-based problem-solving, and leadership development; other activities that do not fit in the above categories will also be considered. 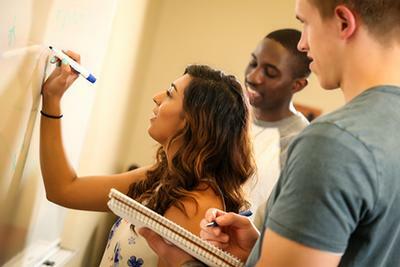 Students must complete a minimum of 50 hours, verified by supervisors, in any combination of engagement activities in order to be recognized during any given term. Students named to the President's List and VPAA Honor Roll are ordered according to their hometowns. North Dakota students are listed first, followed by students with out-of-state hometowns listed alphabetically by state, then hometown; and then Canadian students alphabetically by province, then hometown. Finally, international students are listed by home country and hometown.